Half Circle G Productions is a video production company dedicated to the creative and efficient completion of your video or multi media project. We can make run-of-the-mill plain and simple if that’s your desire, but what we like to do is create videos that make a difference; one of a kind pieces of work that are unique to you or your company. We offer front to back turnkey solutions to all your video needs. By partnering with freelance industry professionals and other like-minded companies we are able to offer a high quality product at an exceptional price. The team at Half Circle G Productions is dedicated to working closely with clients to produce videos that are tailored to meet their needs and separate them from the crowd. We hold ourselves to high professional and technical standards and base our reputation on the fact that our work is our calling card. If you know exactly what you want, great! We will work with you to produce your vision and reach your goals. If your idea is still a work in progress, we will sit down with you to define your objectives and determine the best way to get your message across. Making a great video doesn’t have to be difficult. 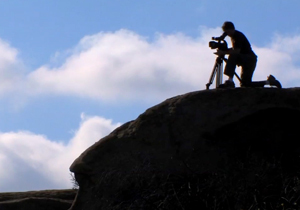 If your next project involves videography and storytelling, you really should contact us.